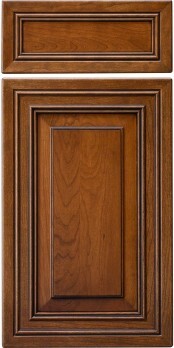 The CRP-10318 is one of Conetoga’s most enduring mitered designs and is still a customer favorite. Heavy profiling makes for a perfect design to capture glazed finishes. NOT AVAILABLE IN INSET CABINETS.